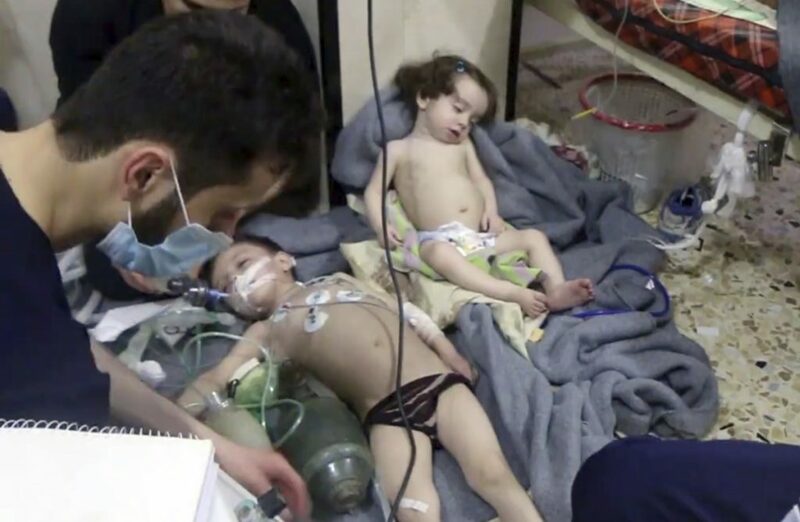 Was the Douma false flag chemical attack actually staged 200 miles away in Idlib? It now appears that this alleged chlorine gas attack was staged and filmed in a different Syrian city. Editor’s note: The US has made a glaring error, one that exposes more than simple fake terrorism. The alleged “gas attack” in Douma, just outside Damascus was staged assuming that US controlled terror groups were planning on holding out until an American air attack could save them. Instead, they surrendered hours later and were transported out of the area leaving Russian troops to immediately move in. No gas victims were evacuated with the terrorists, no doctors found, no “White Helmets” and no dead. None of it even happened, worse yet, it all seem to have been filmed in Idlib, over 200 miles away. Filming locations don’t exist in Douma. Worse still, the area was immediately opened to the press but nothing was reported. No video was taken, no victims examined, live or dead, but none of this was reported either. This is living proof there is 100% control of Western media. This is also why Russia is angry enough to risk a full scale war with the US. We have pushed too far. Where are America’s political and military leaders? I can tell you now that many in DC are going into hiding. Others are terrified of being “accidented” by Trump’s “Black Cube” death squads out of Israel including FBI agents and counter-terrorism investigators from the Pentagon who know the whole thing is fake.